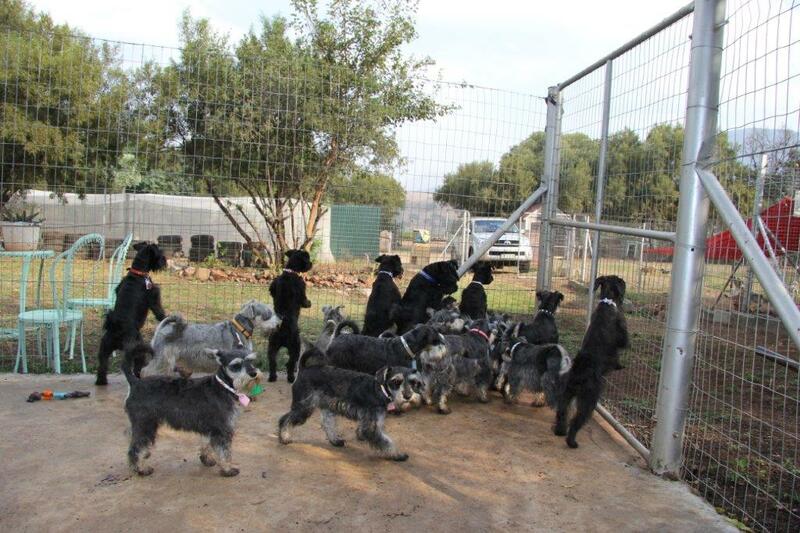 A Johannesburg Schnauzer Friends South Africa Fun Walk group photo. 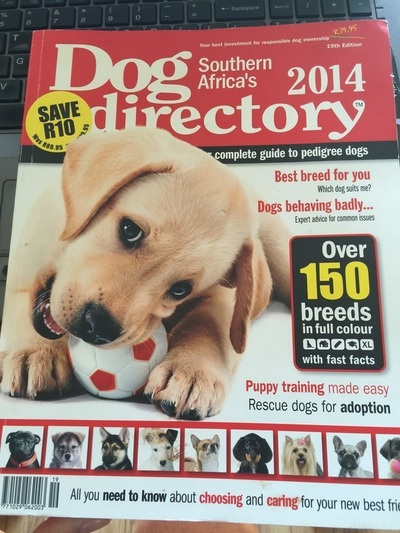 We received many complaints from people around South Africa, who were buying puppies from Roodewal Kennels. 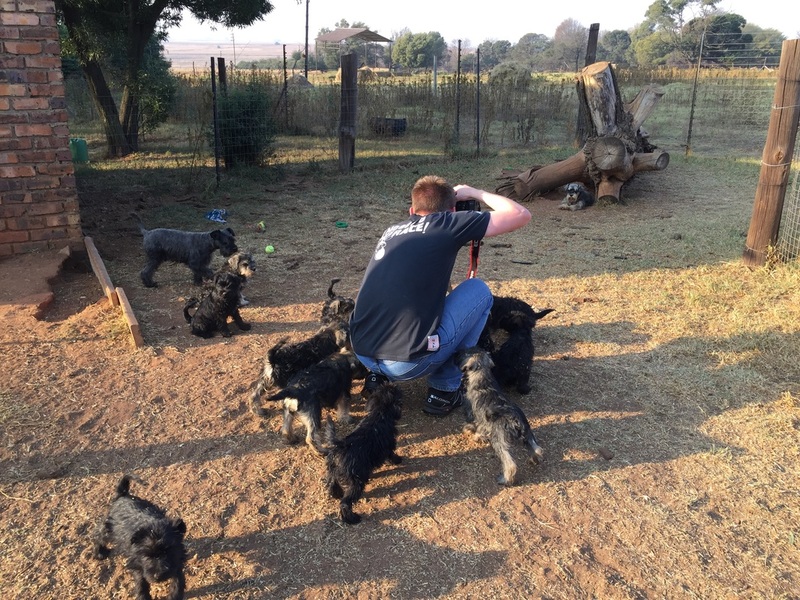 The puppies were sick and many dying after a few days of taking delivery. 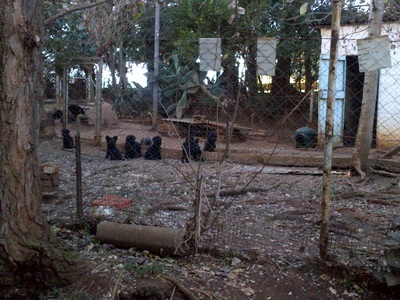 The story was consistent - the puppies were always delivered, if they were sick or died, they were offered a replacement. They were all told it was a once off case and had never happened before. 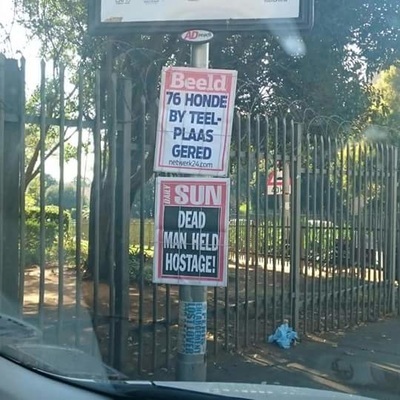 Something was clearly wrong at Roodewal Kennels. 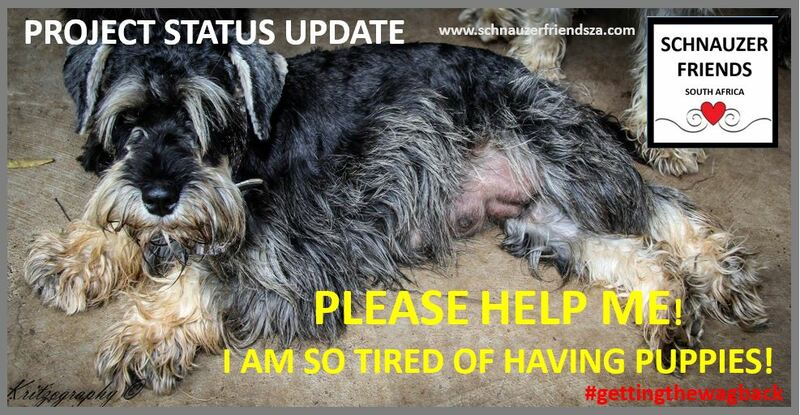 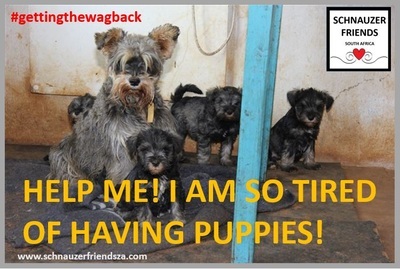 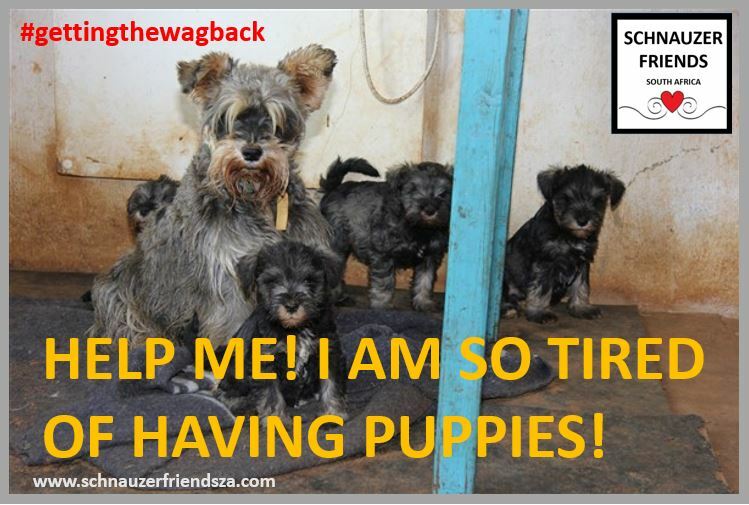 Schnauzer Friends South Africa awareness Facebook posts. We bought a puppy and 5 days later our hearts were broken because she died from parvovirus. 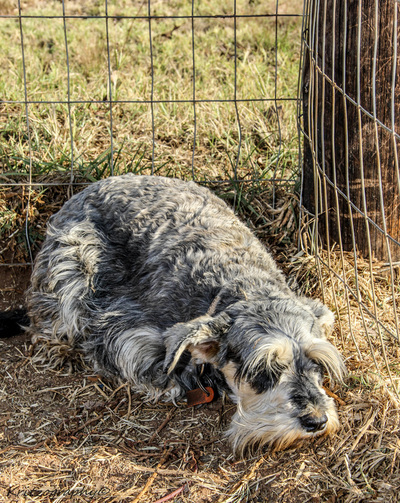 She suffered so much, it killed us. 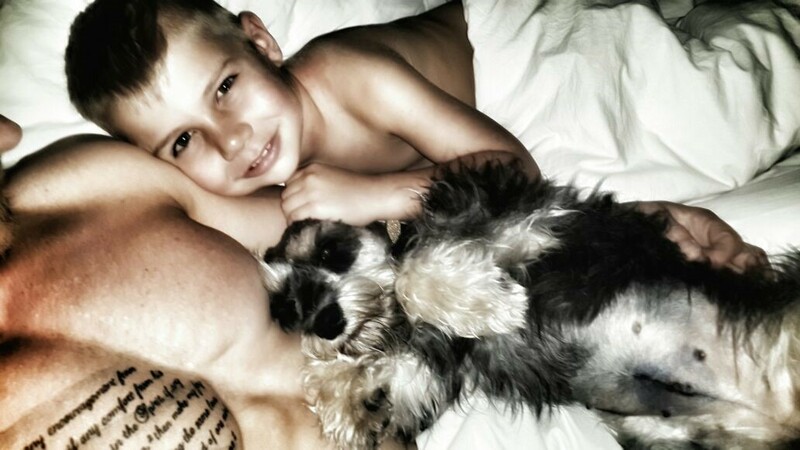 Still to this day our hearts break when we think of our baby Marley. 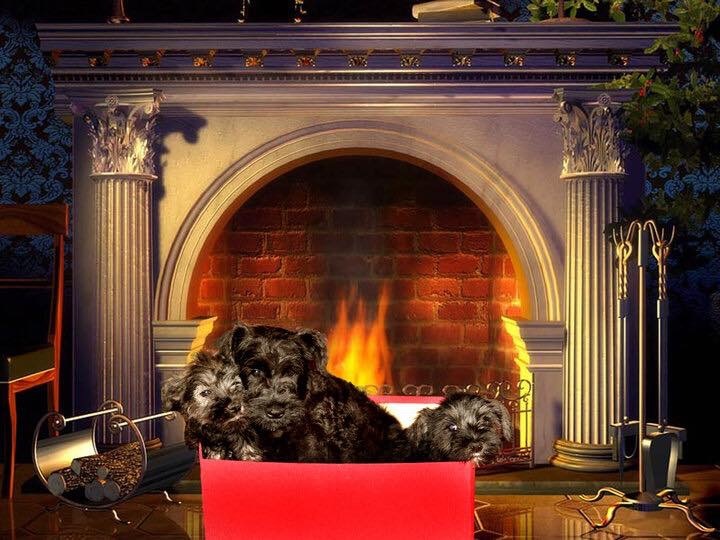 We were offered a replacement. 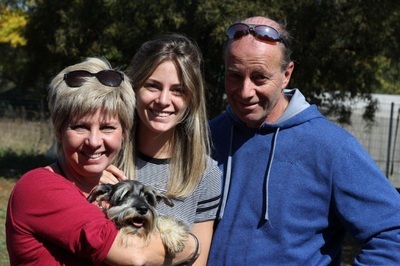 We had our little puppy for 2 nights and he spent his next (and last) 2 nights at the vet before passing away. 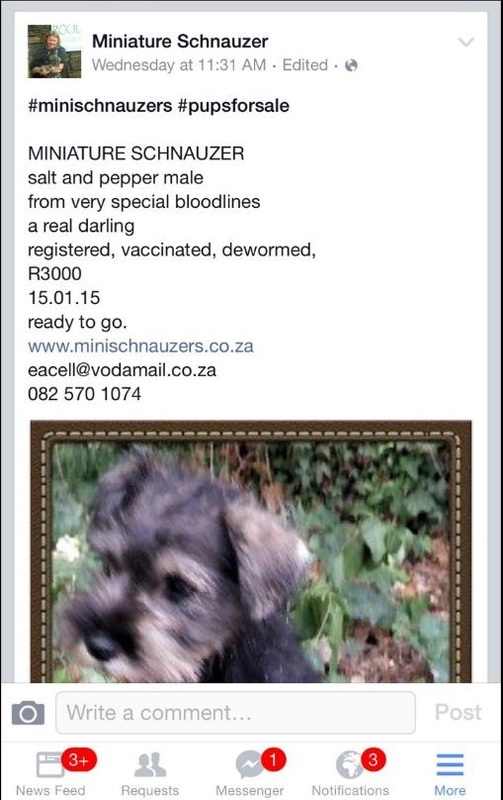 This puppy suffered terribly. Parvo, distemper, and worms like nothing ever witnessed before! 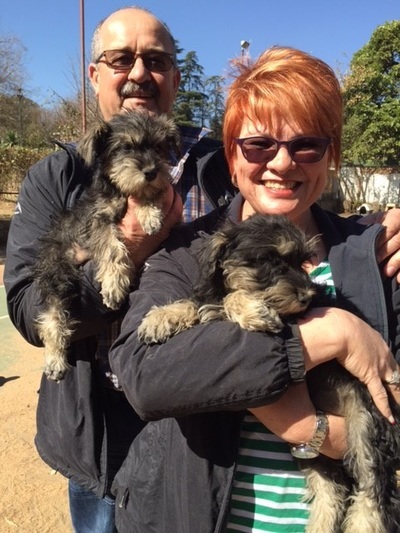 I brought two puppies who were flown to the Cape. 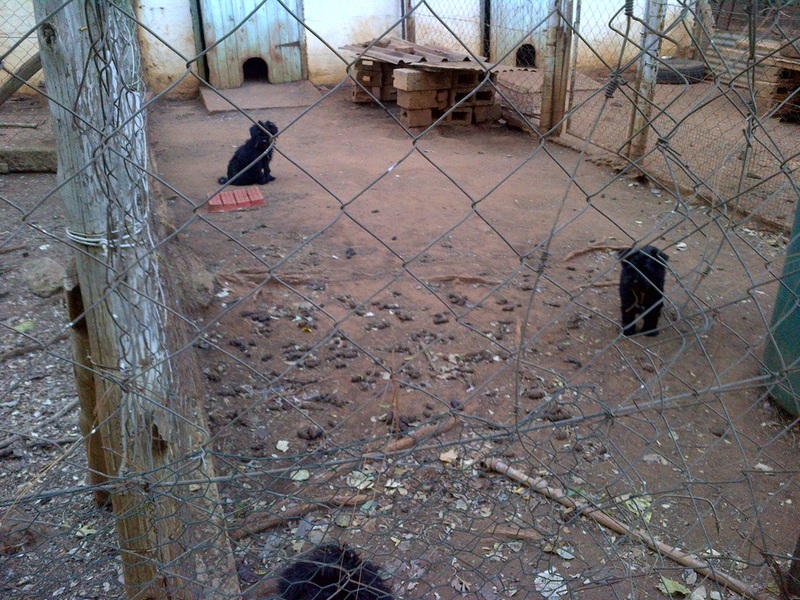 Their skin was not good and needed to be treated. 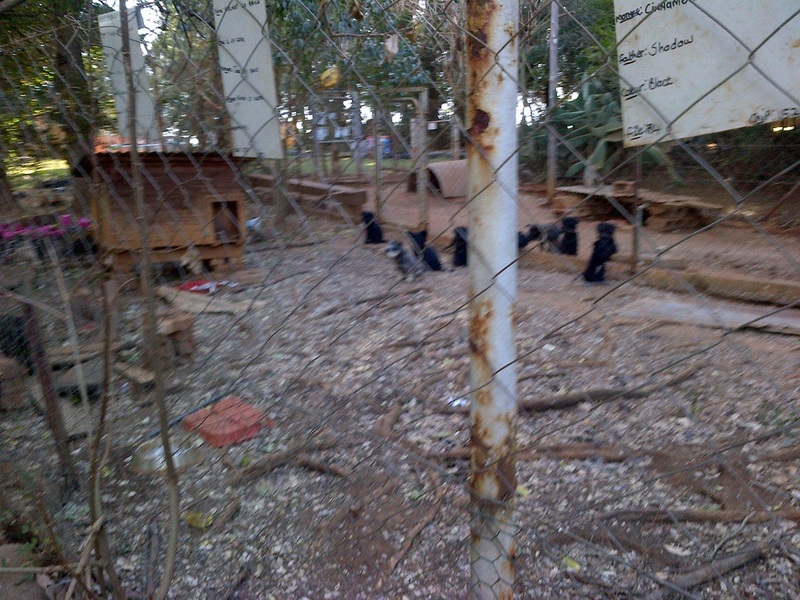 One puppy was clumsy and lethargic and could not stand up straight. 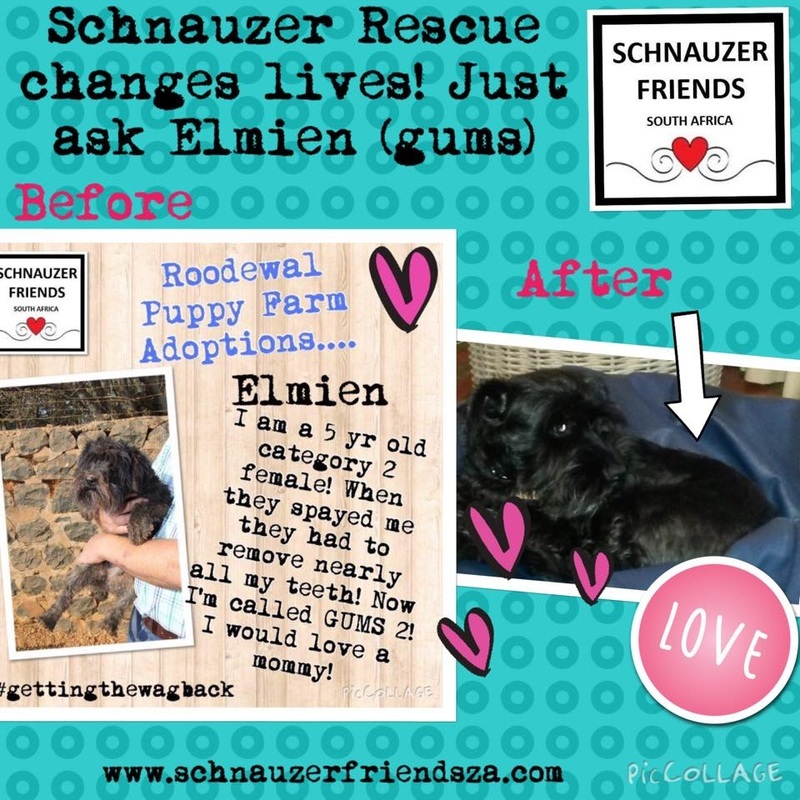 We took him to the vet and he had a growth under his tail and as a result could not poo. 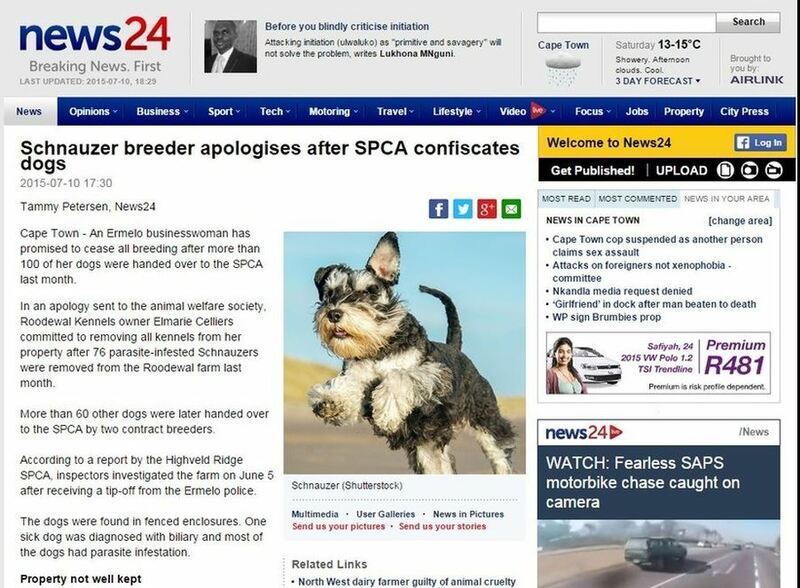 The vet had to euthanise him. 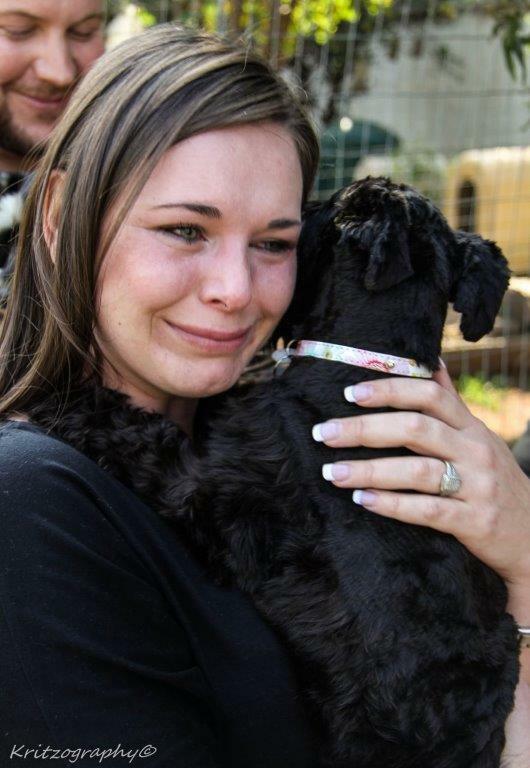 The next Tuesday we were sent a replacement puppy. 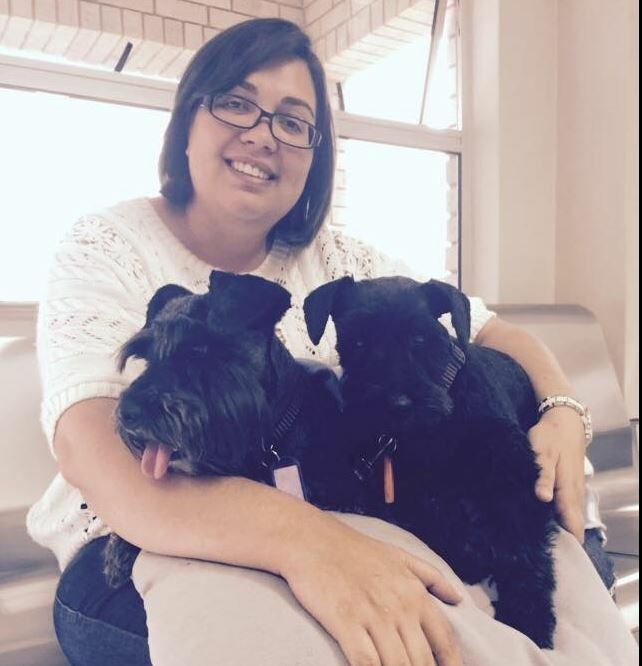 When my puppy landed at the airport he stunk. His skin was so infected that the vet put him on antibiotics for 6 weeks and then 6 months on a special prescription diet. I had to bath him weekly with medicated shampoo. 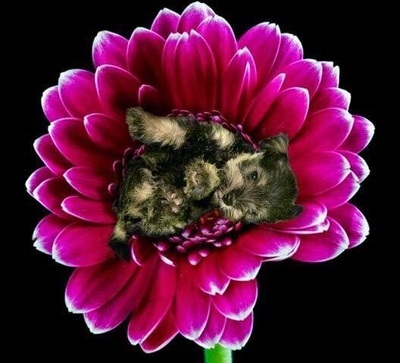 It was very expensive. 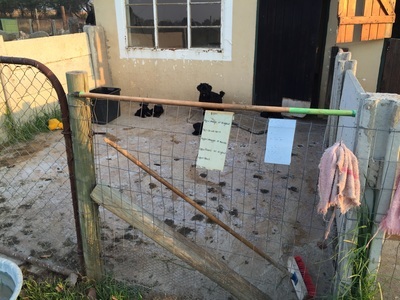 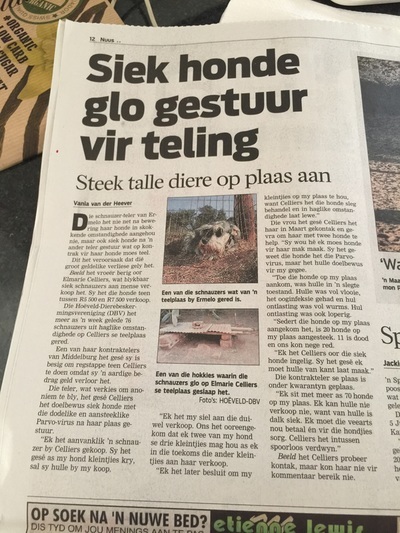 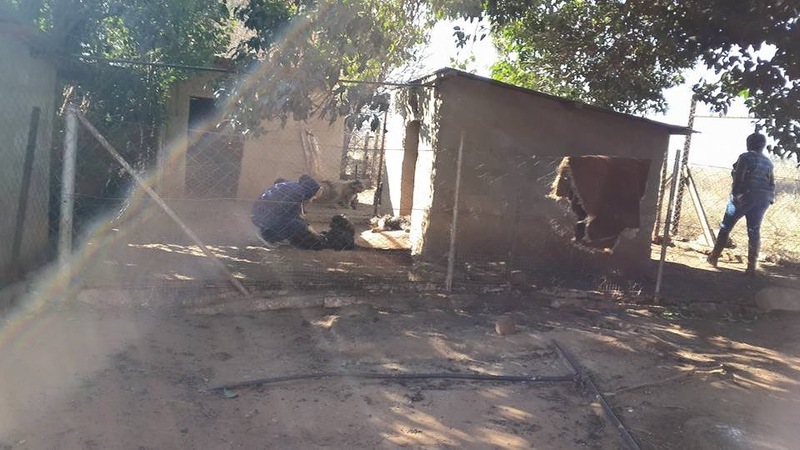 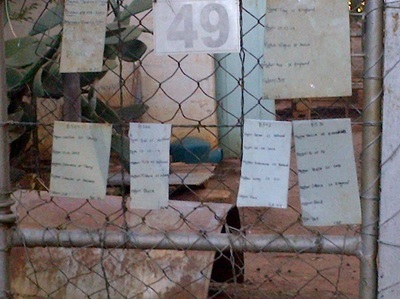 We tried to engage with the owner of Roodewal Kennels but were ignored. 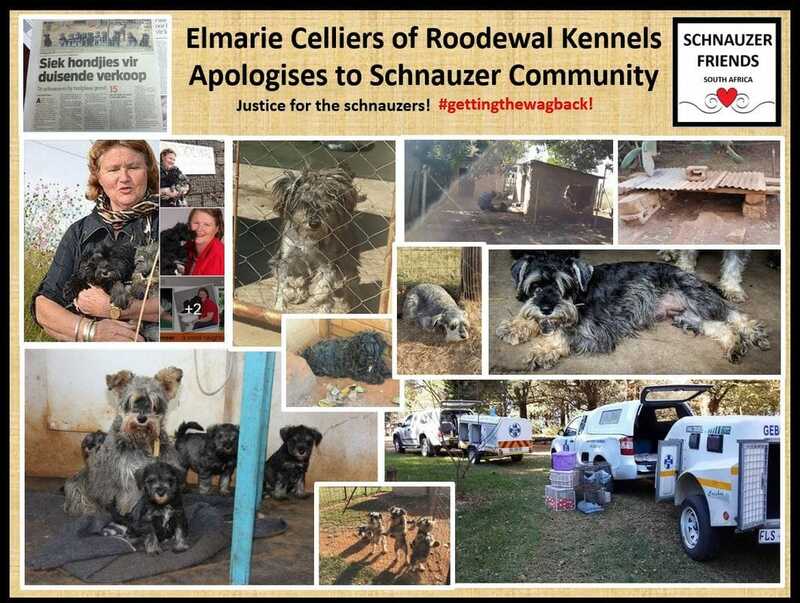 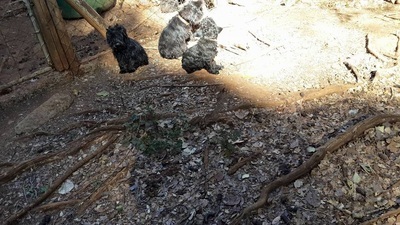 We started publishing the communities complaints on our Facebook page and website, and more and more schnauzer owners came forward who had also had a similar experience’s with Roodewal Kennels. 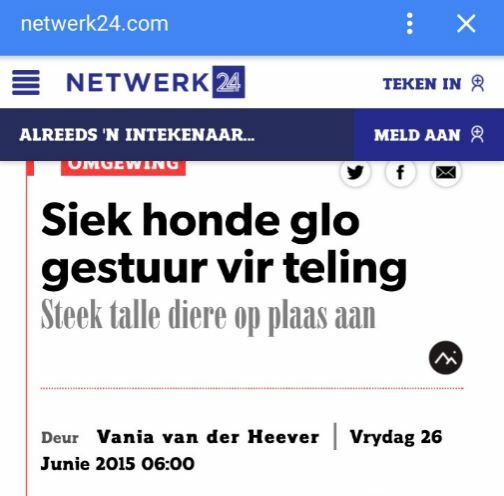 It was going back over 5 years. The people who had fallen for the glossy marketing were cross and upset. 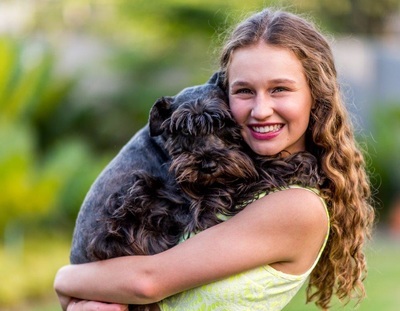 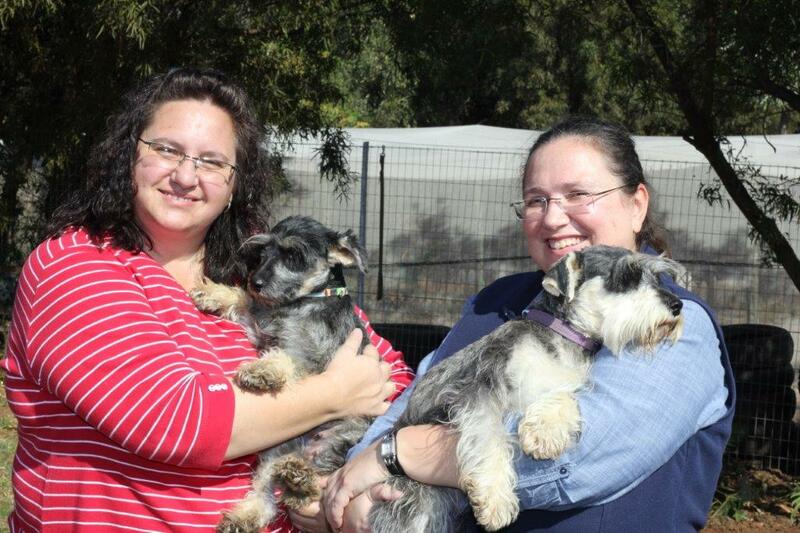 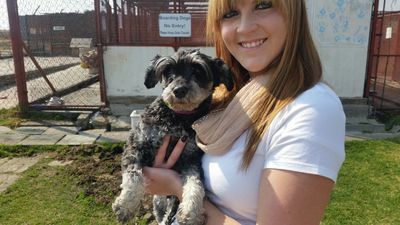 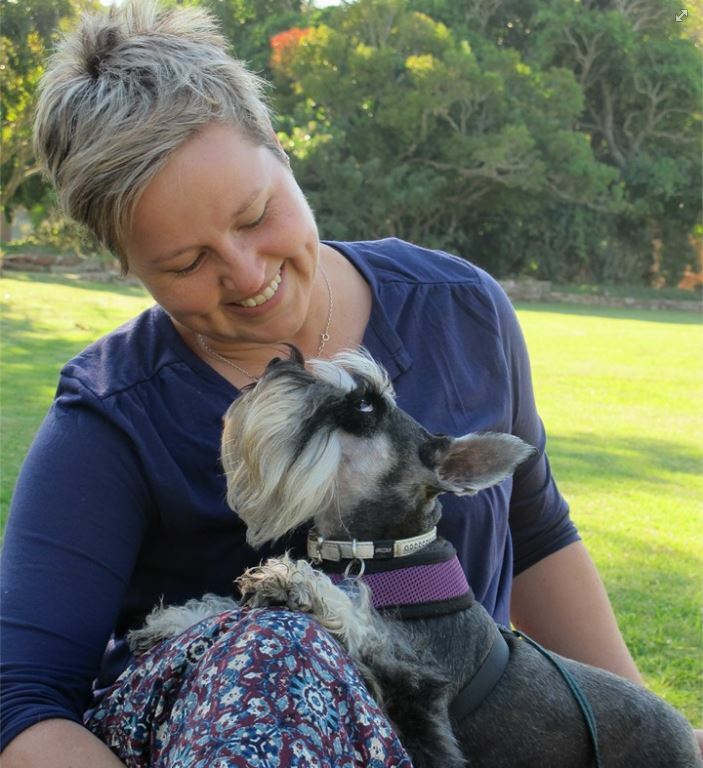 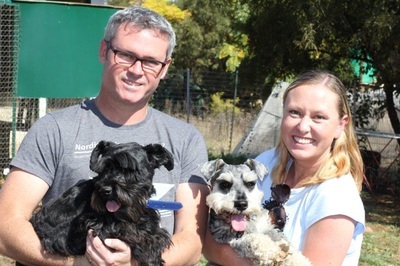 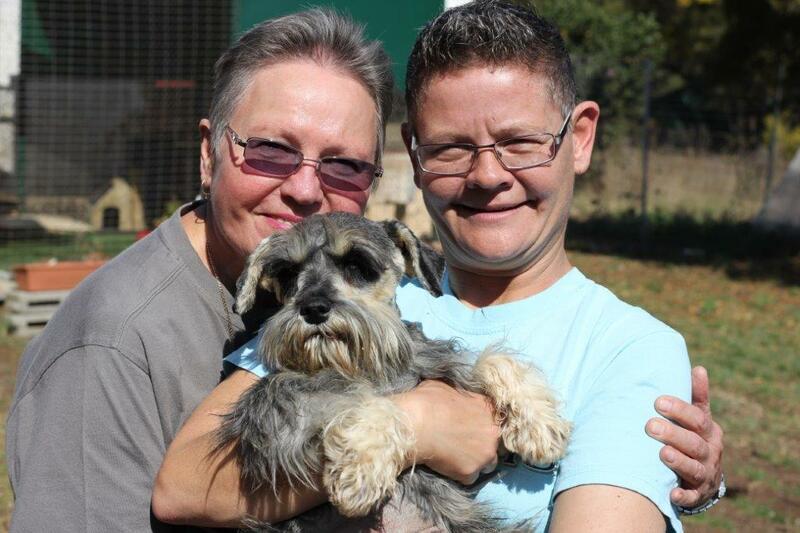 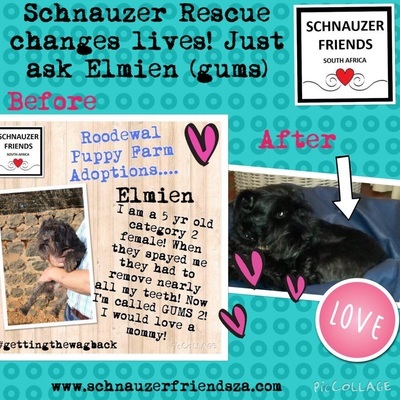 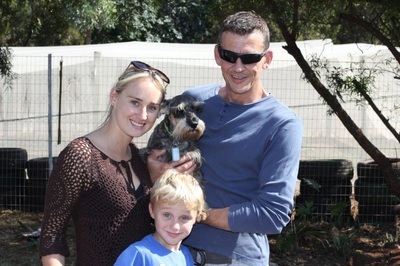 ​Using social media, the Schnauzer community made it impossible for Roodewal Kennels to sell puppies. 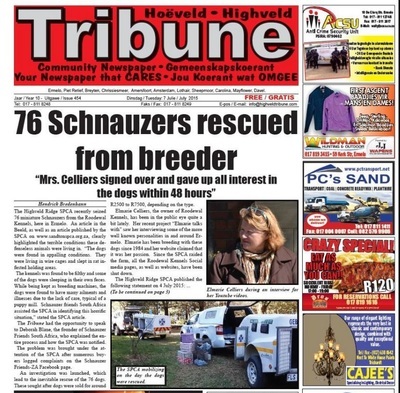 We were threatened with legal action but the community stood together. 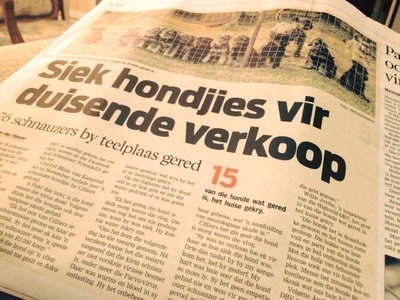 We knew that we needed to be a voice for the voiceless. We needed to stop the suffering and pain! 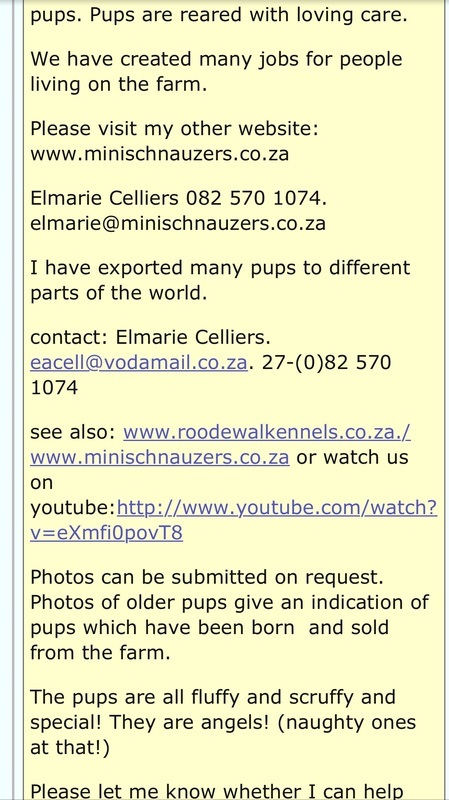 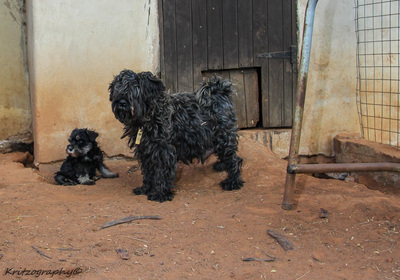 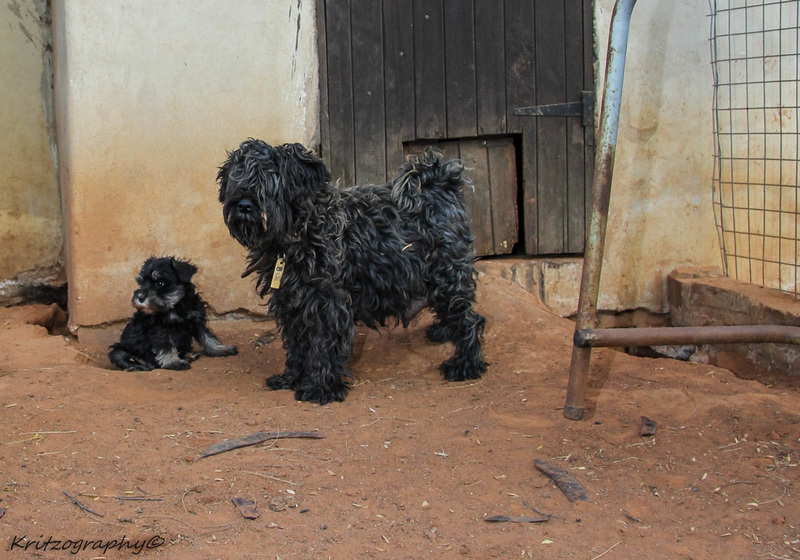 ​In April 2015 we were contacted by a Roodewal Kennel “contract breeder” living on a farm in Mpumalanga. 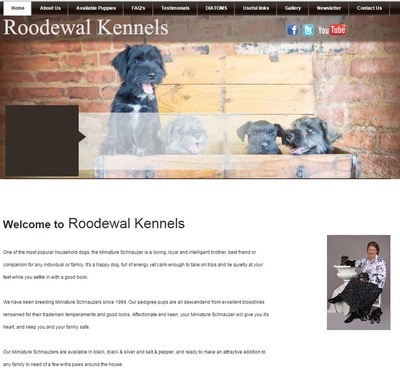 They had been delivering on average 20 schnauzer puppies a month to Roodewal Kennels. 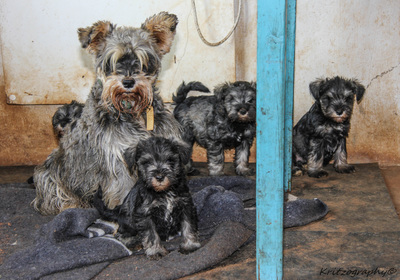 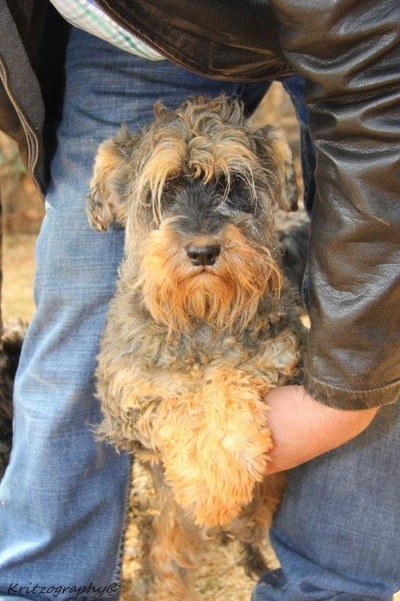 They surrendered 70 breeding schnauzers and 40 puppies to Schnauzer Friends for rehoming. 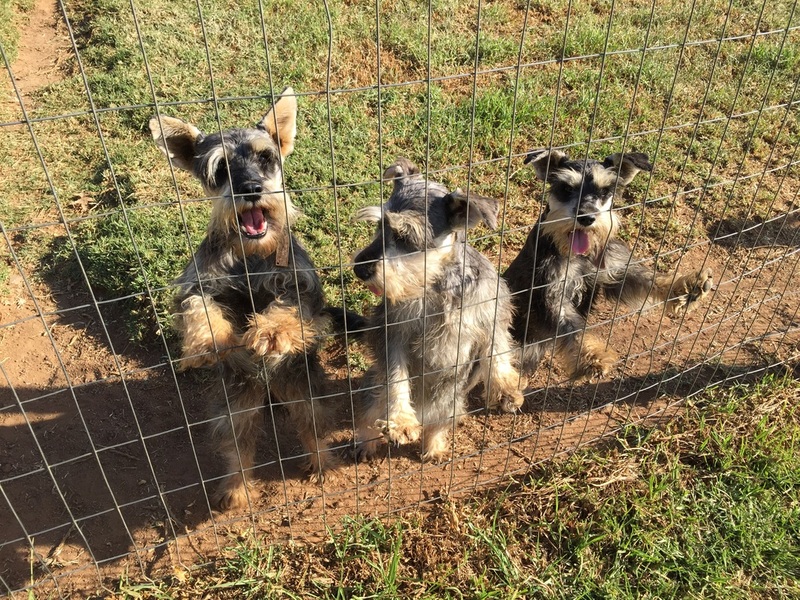 The first time the Schnauzer Friends rescue team visited this contract breeder, there were 180 dogs of various breeds in pens outside. 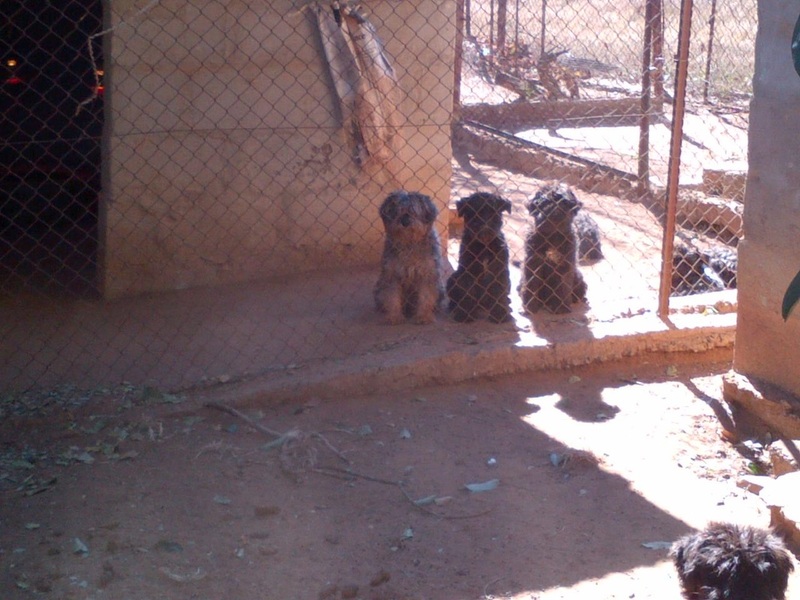 The noise was indescribable as they jostled for some attention. Many ran away hiding in fear. It was painful for animal lovers to see how people can treat animals for financial gain. 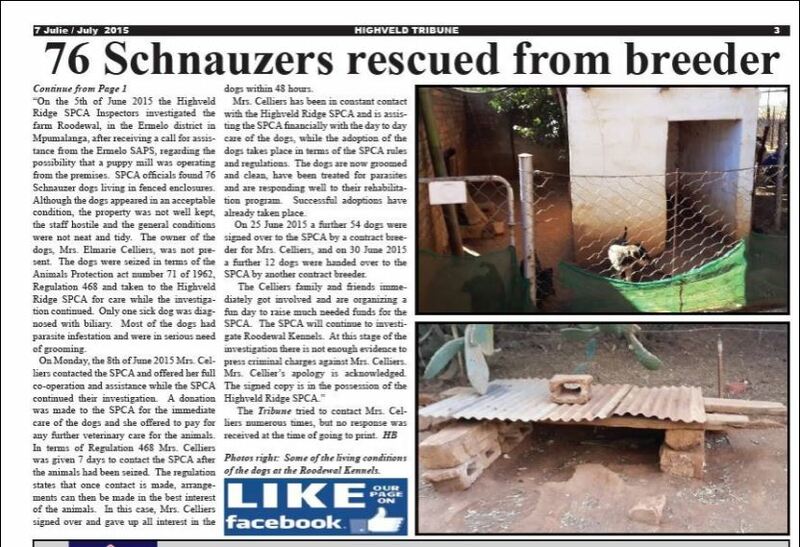 The rescue team still have nightmares to this day. Below are some pictures from the Roodewal Kennel contract breeders farm. ​As the magnitude and horrors of the Roodewal Kennel breeding operation and the network of contract breeders was uncovered, the project became larger and larger. 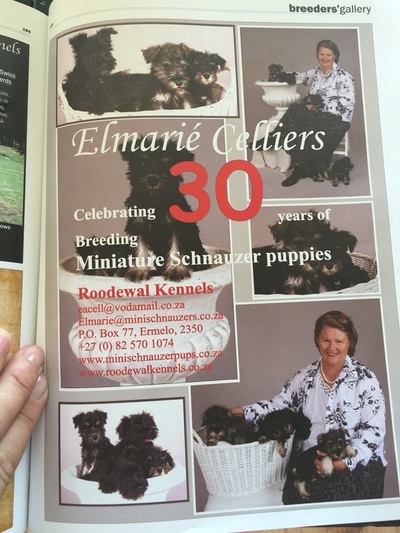 More Roodewal “contract breeders” came forward as they had no way of selling the puppies and wanted to get rid of the breeding schnauzers. 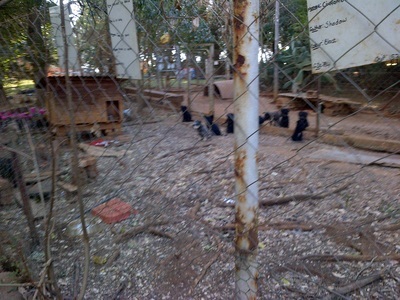 Many of these schnauzers were in desperate need of socialisation and medical care. 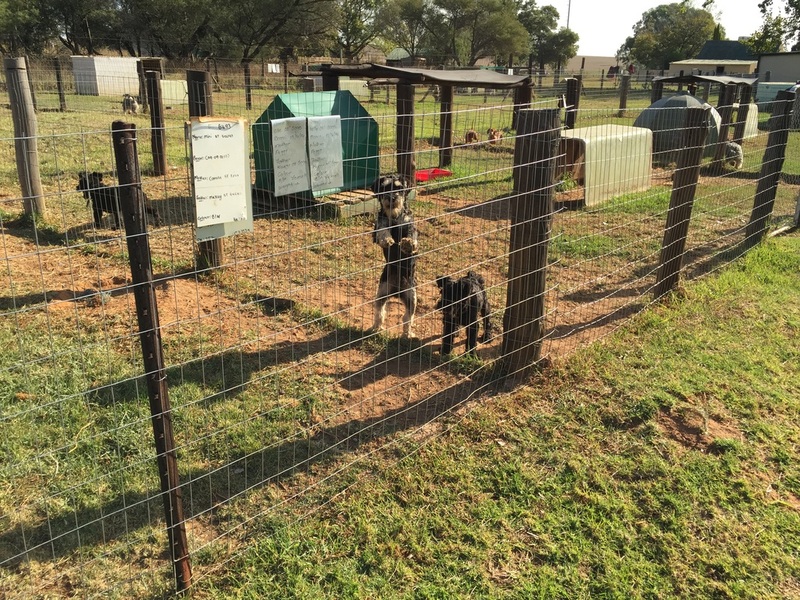 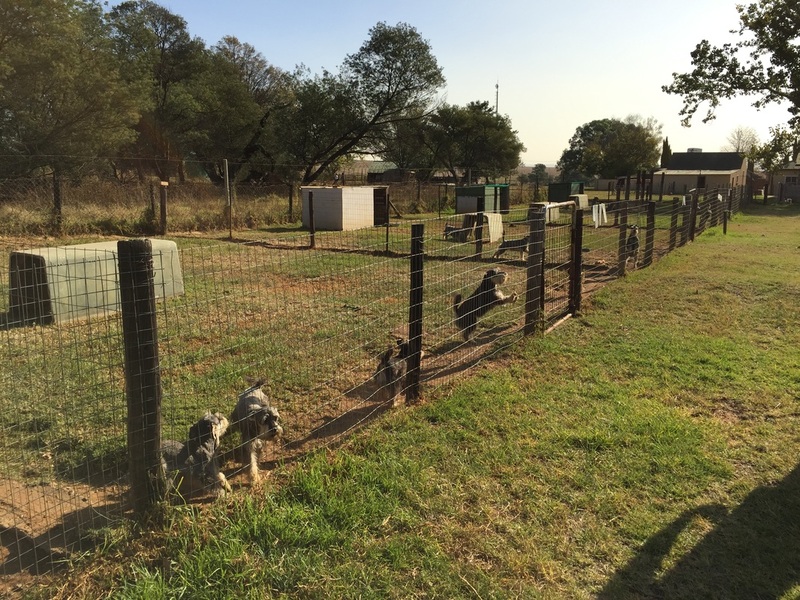 ​Below are some pictures from the beginning of the media exposure and more schnauzers rescued from other Roodewal Kennel contract breeder farms. 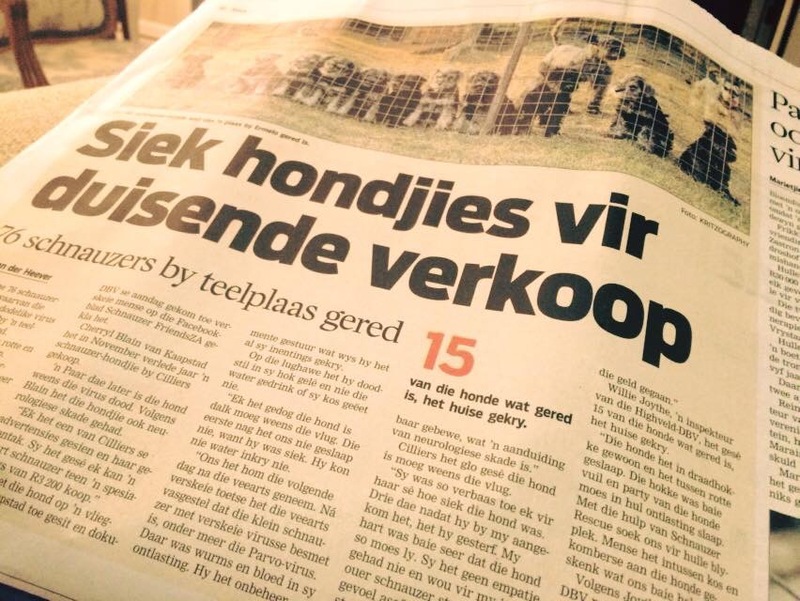 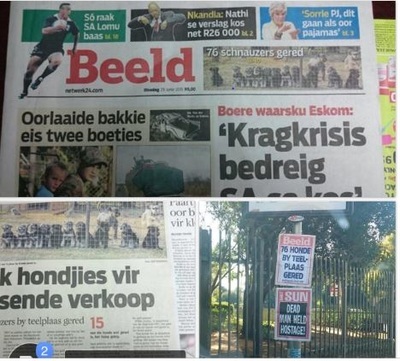 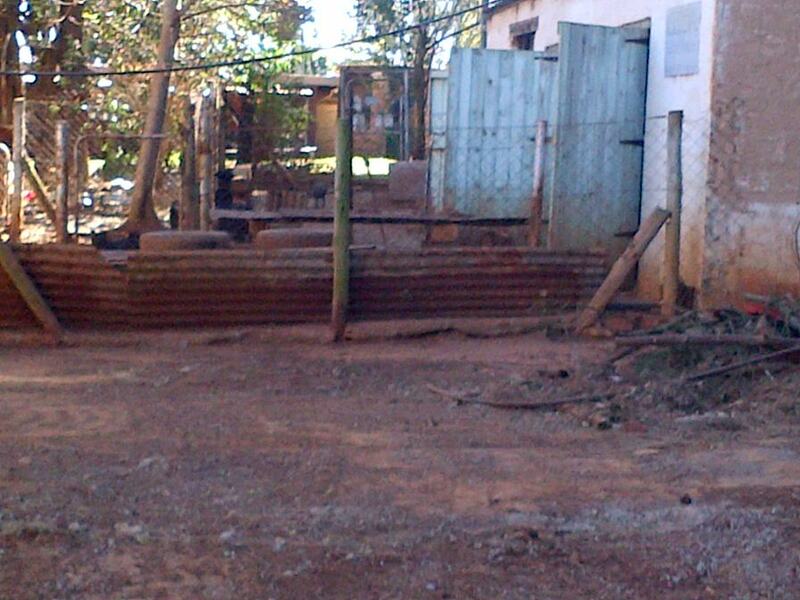 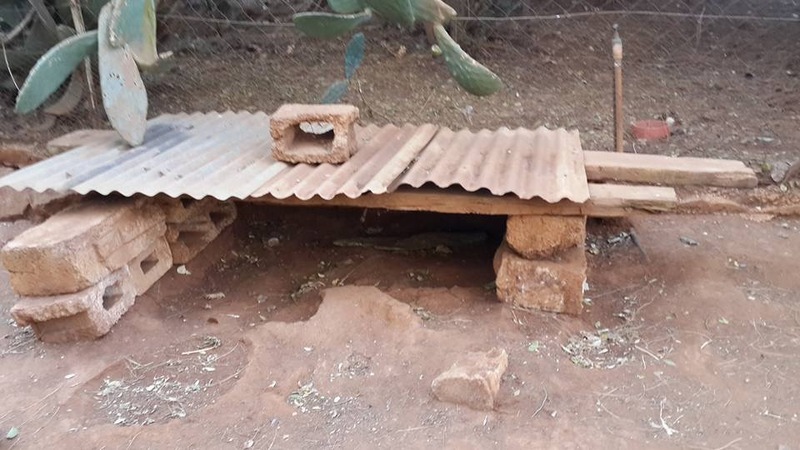 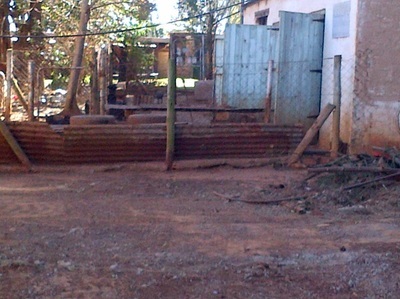 On the 5th June 2015, a warrant was obtained to enter the actual Roodewal Kennels in Ermelo. 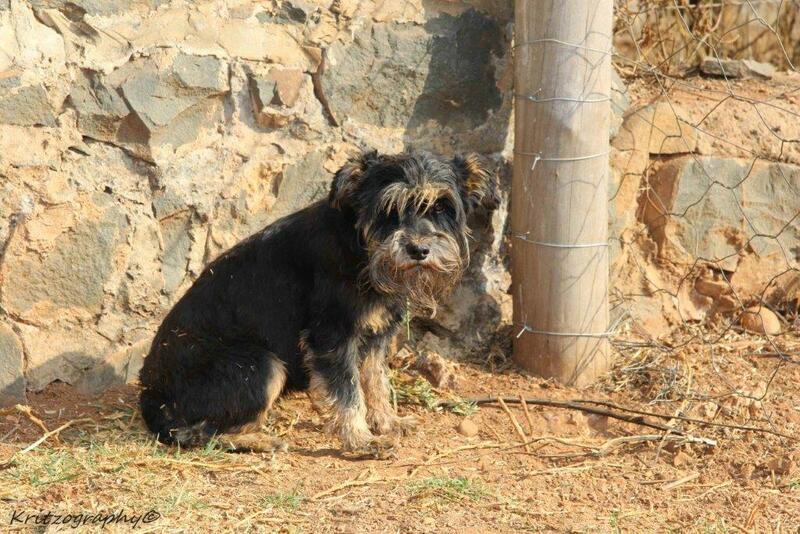 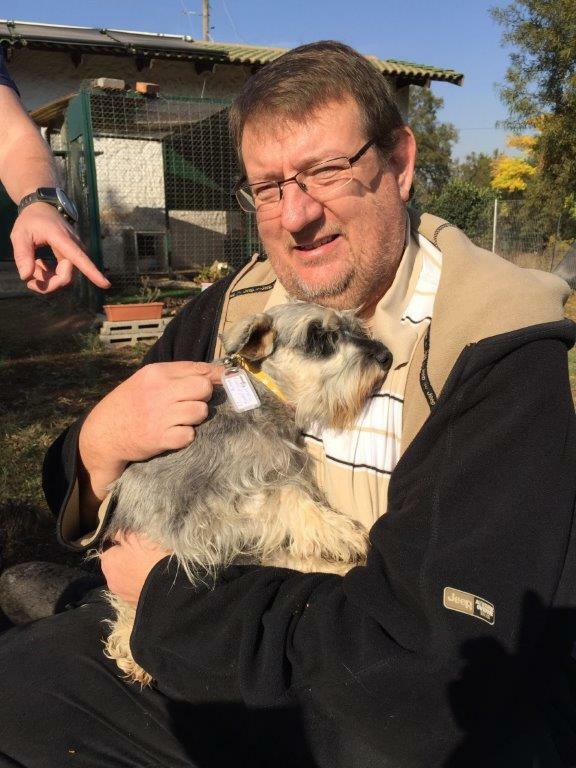 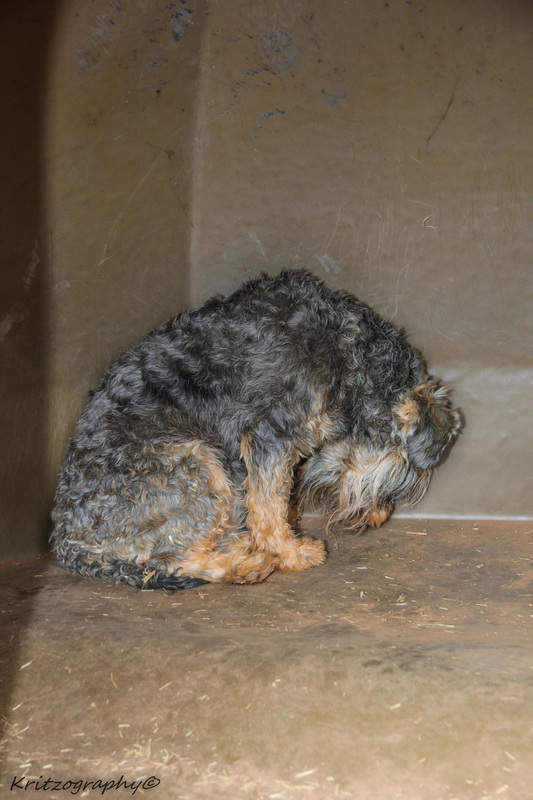 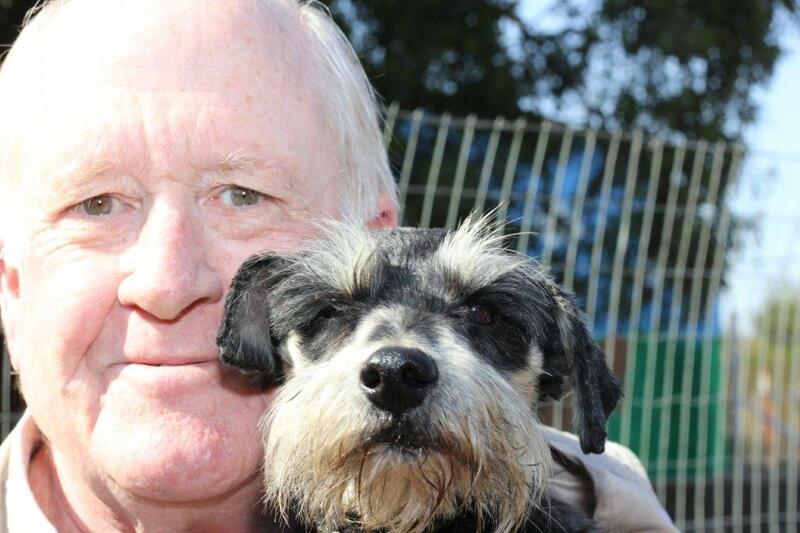 The SPCA, SAPS and Ermelo Animal Rescue confiscated another 76 schnauzers. 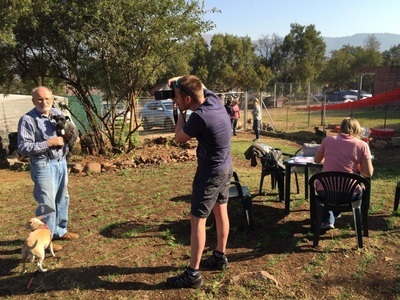 The SPCA, SAPS and Ermelo Animal Rescue at the Roodewal Farm. Below are some pictures from the actual Roodewal farm. Below is some of the news media around the story. 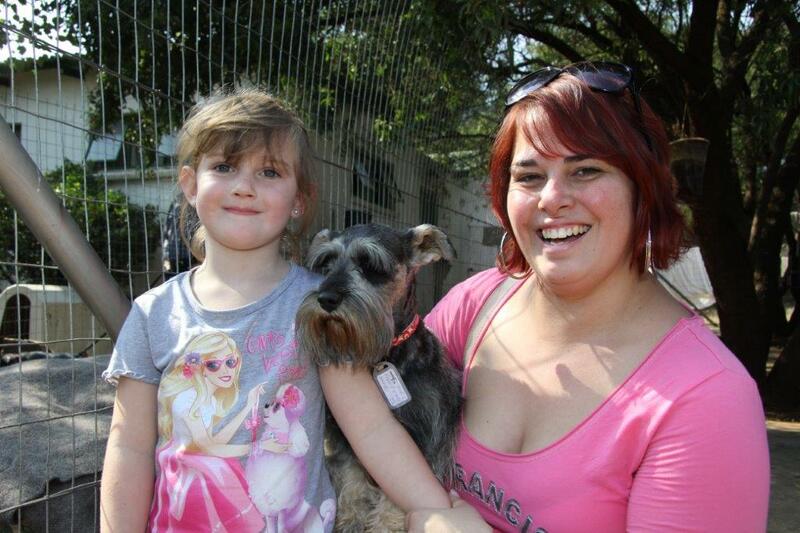 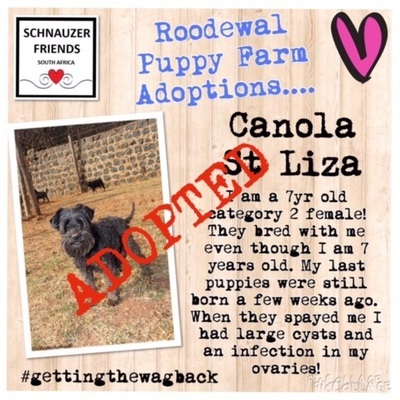 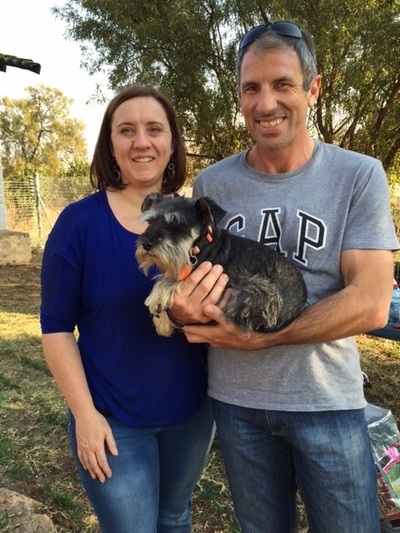 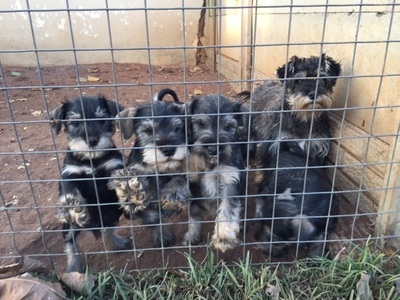 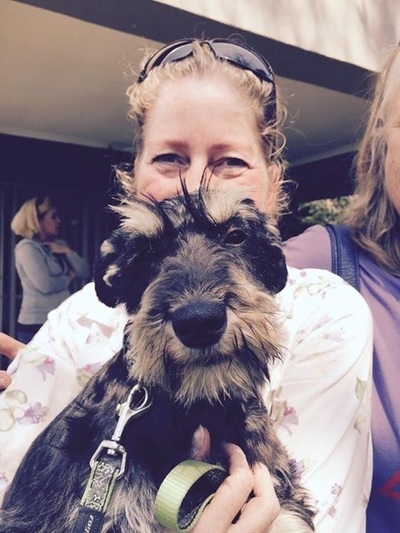 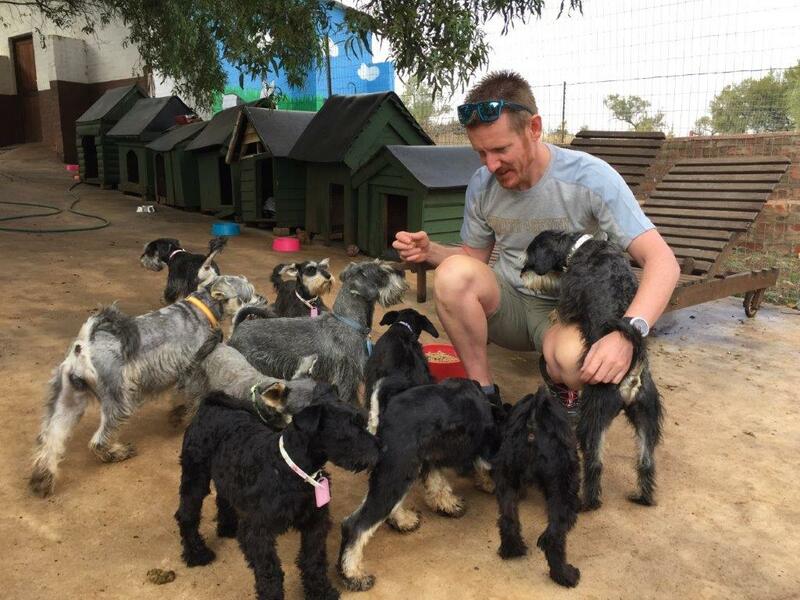 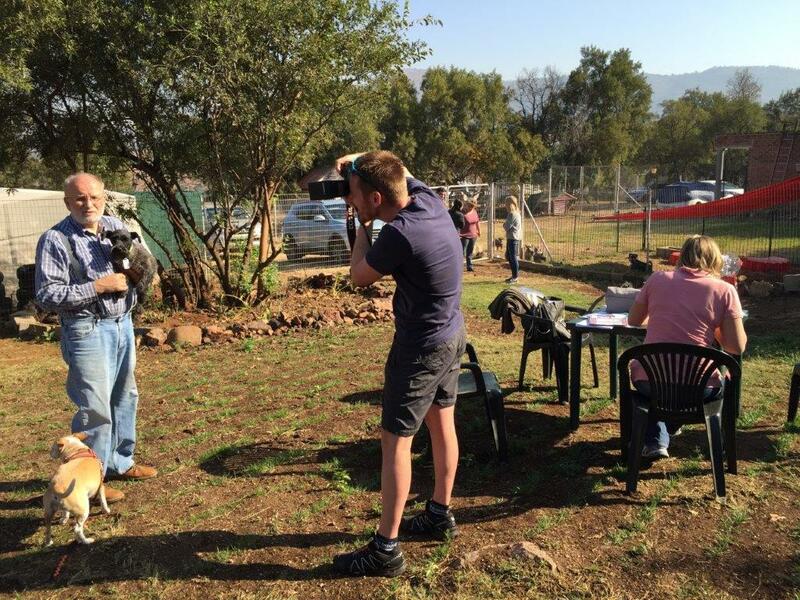 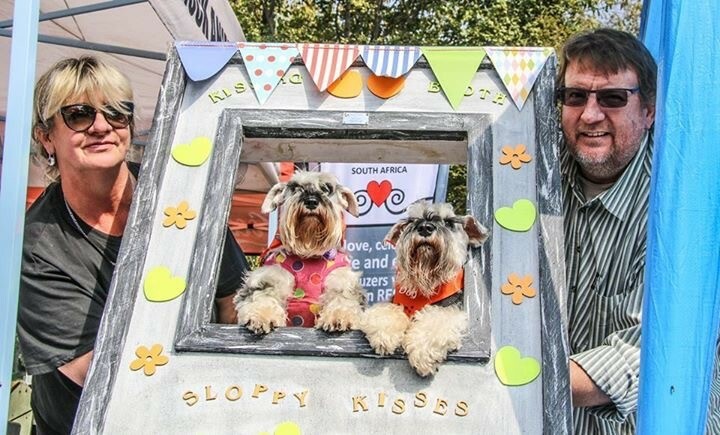 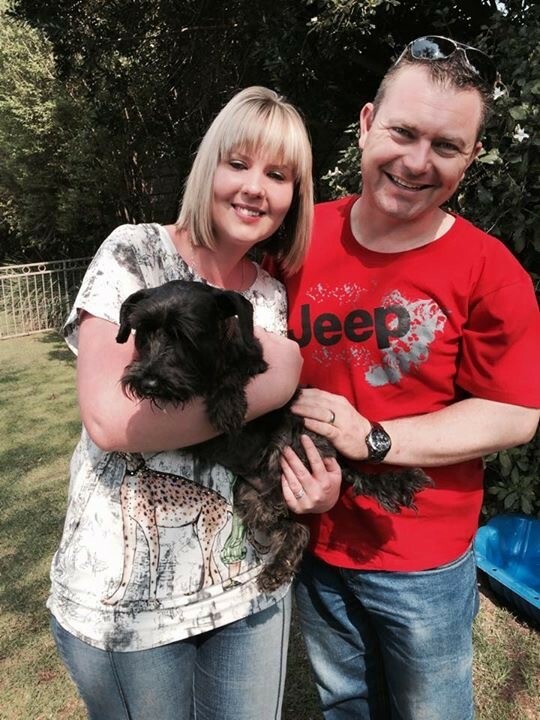 ​Between Schnauzer Friends South Africa, Woodrock Animal Rescue and the SPCA, 320 schnauzers were rescued from the Roodewal Kennels puppy farm network. They were all sterilized, medically treated and rehomed into loving homes. ​The last of the 320 rescued schnauzers went home in November 2015. 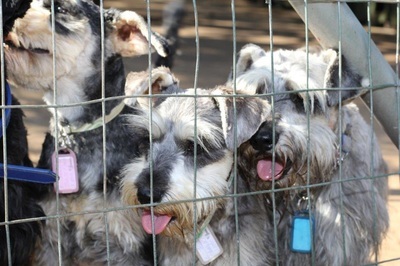 Nearly all the schnauzers rescued were scared of people, loud noises, hose pipes and brooms. Some seemed to have lost the will to live and just stared blankly into space. 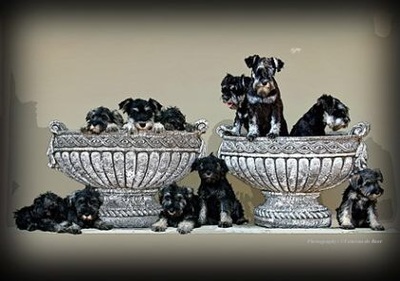 When the schnauzers were adopted, typical behaviour was to go and find the nearest bush and hide. 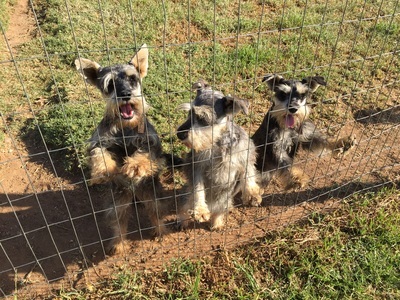 A year later, some of the schnauzers are still undergoing intensive rehabilitation as horrors of the puppy farm are entrenched into their souls. 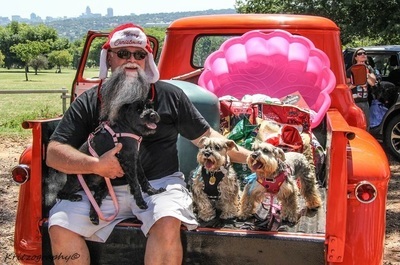 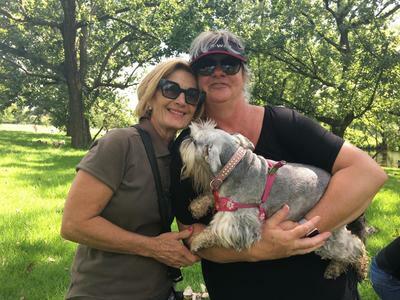 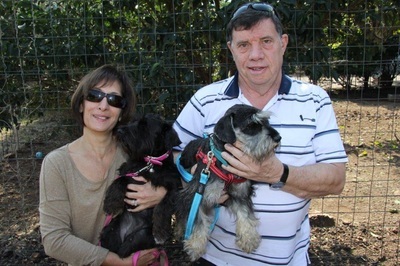 Our Schnauzer Friends community, dedicated schnauzer adopters, rescue team and behaviourist Scotty Valadao have become a family of schnauzer lovers who are committed to give these rescued dogs the life they deserve. They are all getting a second chance at life. 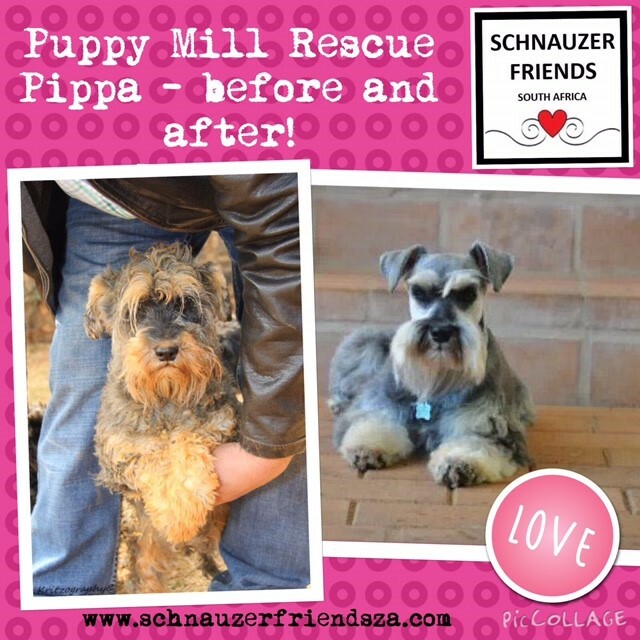 The Schnauzer Friends matra is #gettingthewagback and we sure achieved this. Below are some pictures of the adoption days, adopters and rescuers. 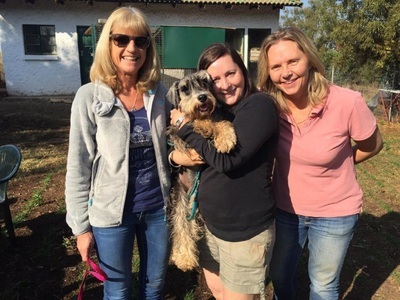 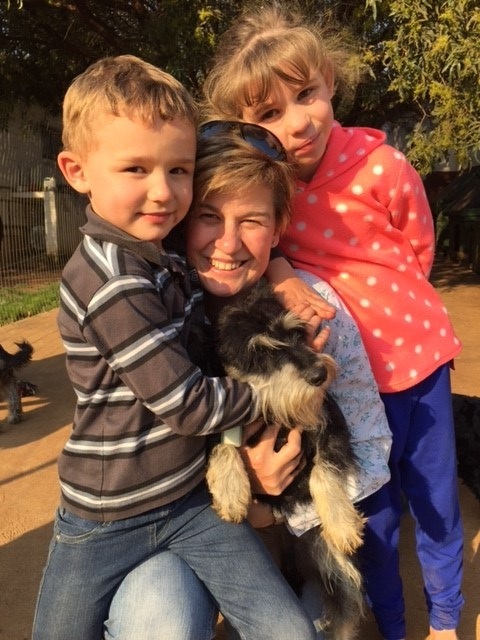 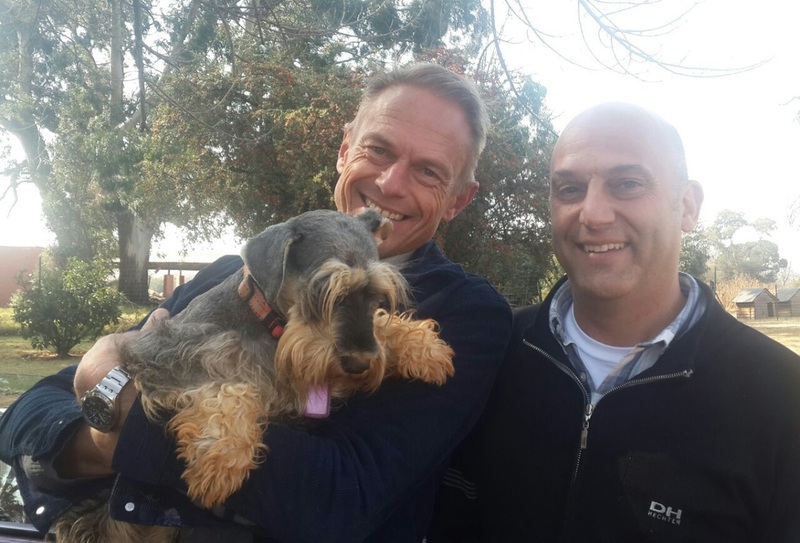 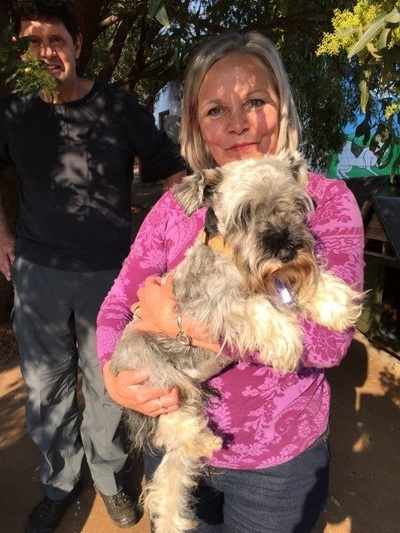 The Schnauzer Friends South Africa rescue team engaged with various stakeholders to work out the best way forward to achieve the best outcome for the community and the schnauzers. 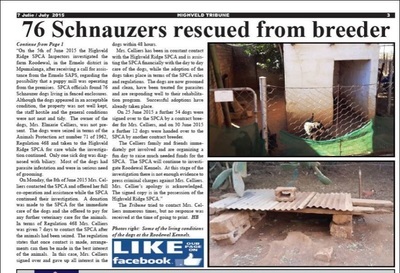 A Thank you to all the people who had assisted with the rescue and rehoming project. This included the SPCA, Schnauzer Friends South Africa, Woodrock Animal Rescue, the schnauzer community, all the adopters, the vets who assisted etc. 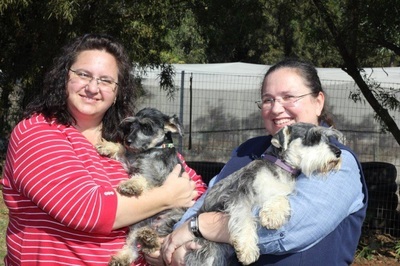 A Donation to schnauzer rescue to assist us with rescue costs and sterilizations going forward. 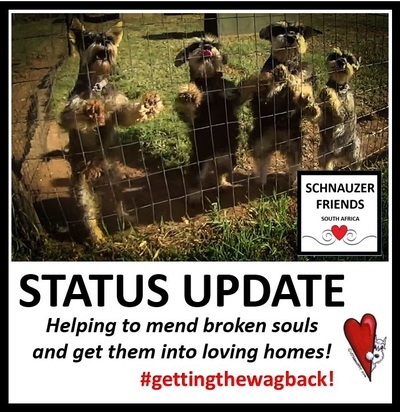 We felt that this would provide additional resources to to be able to assist rescue dogs in need going forward, and also to enhance the lives of many dogs into the future. 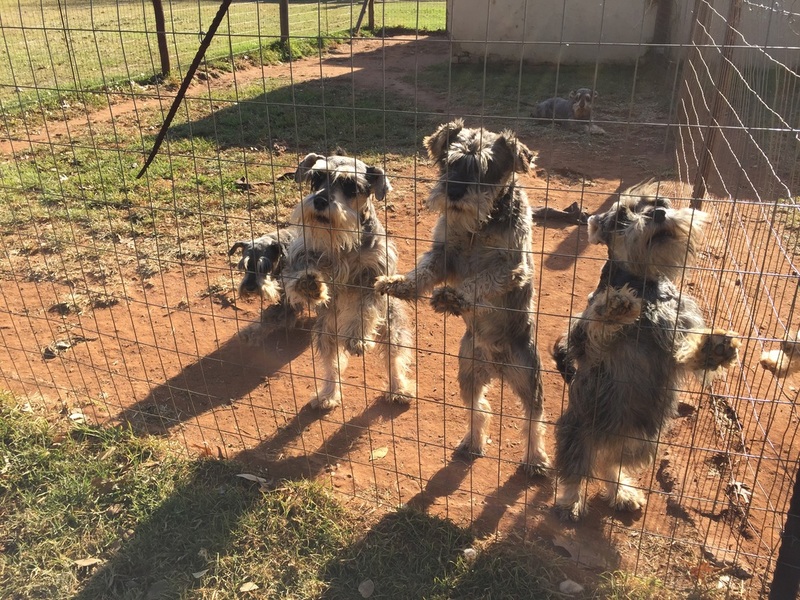 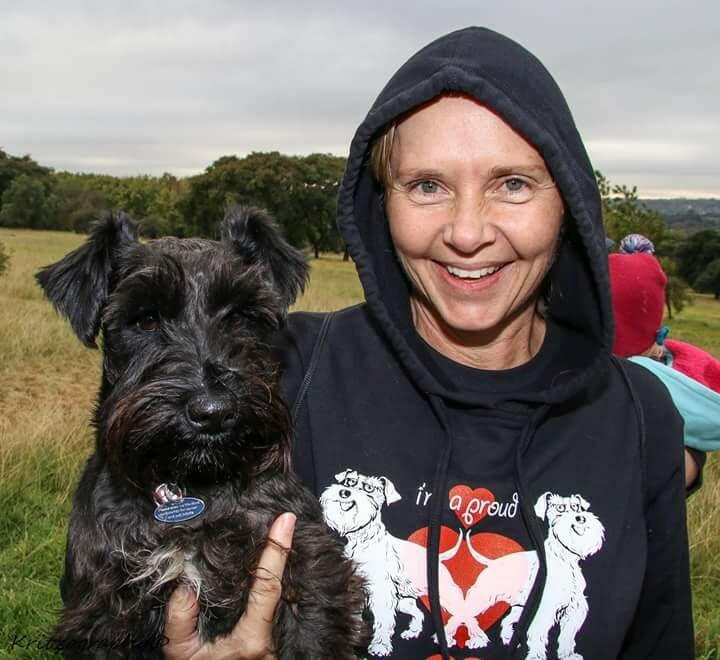 The aim of Schnauzer friends rescue is to assist in the rescue of Schnauzers, to sterilize and rehome the dogs and to ensure their ongoing well-being, as well as to expose and shut down the puppy mills. 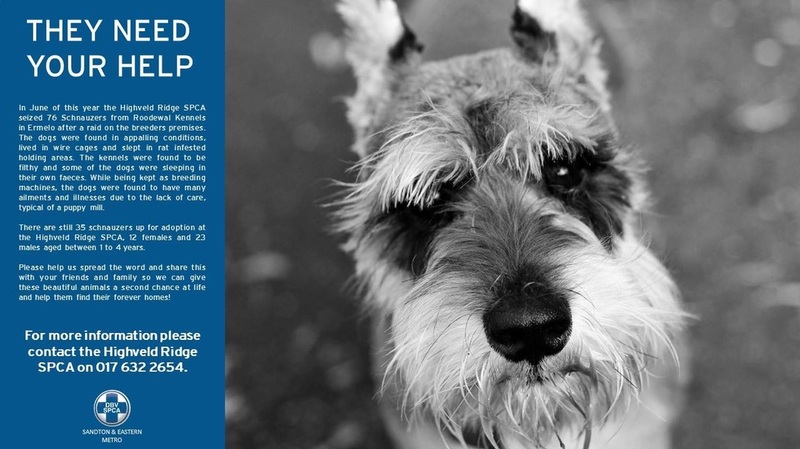 You can read more about the options and closure here. 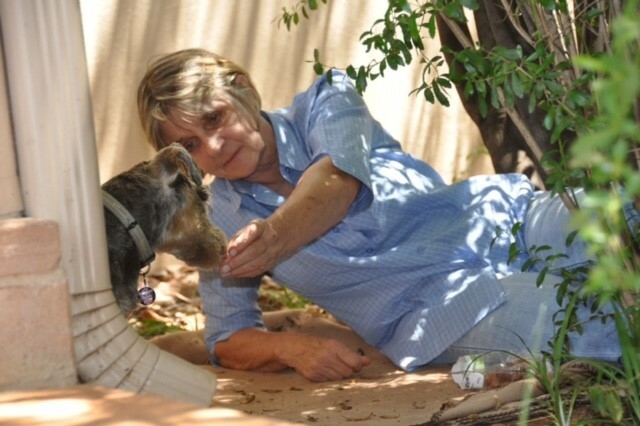 Elmarie Celliers agreed to this reconciliatory option and we received the below letter, signed by her, containing the acknowledgement, apology, thank you and the pledge to donate some funds to rescue. 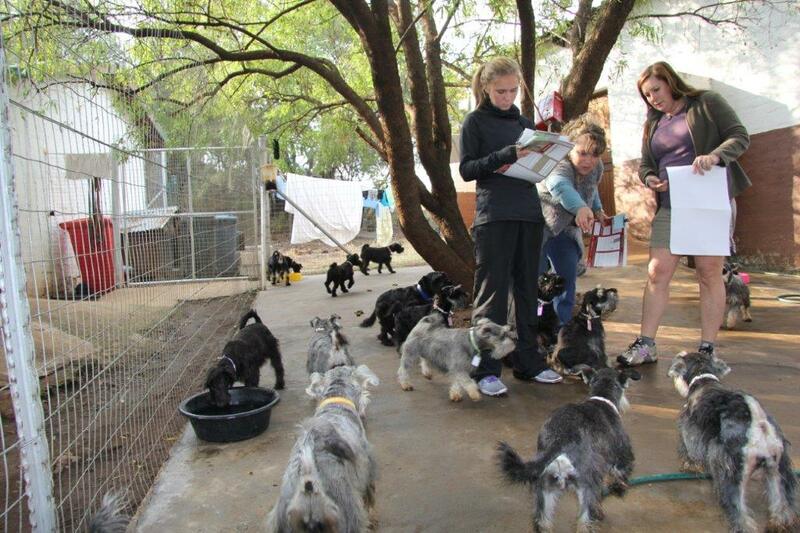 We recieved the donation and have also had all our costs covered by Elmarie Celliers. We would not have achieved this without our community’s ongoing pressure, and lots of hours of assistance from our "pro-bono" legal team. 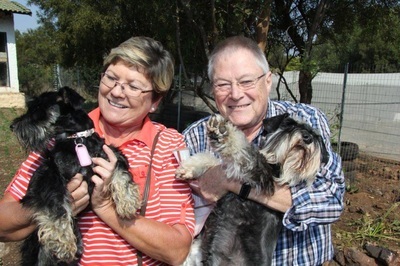 ​ A huge thank you to the Schnauzer Friends Community who opened their hearts and homes to these 320 rescued schnauzers. 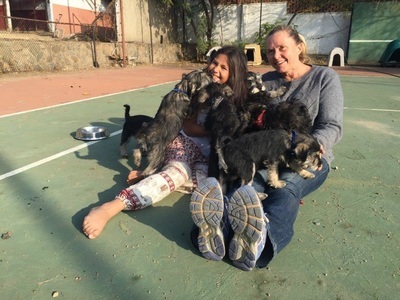 ​They now have the opportunity to be pampered pooches and not breeding machines locked out in the cold and rain with little human interaction or medical care. Below are some pictures of the adopters. 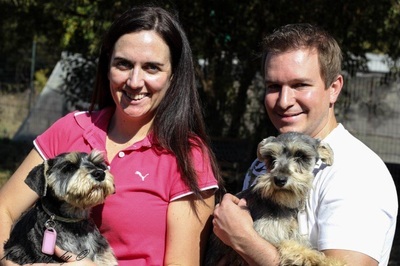 We salute all of you! Did you see this story featured on DSTV Kyknet ? WE ARE FAMOUS! 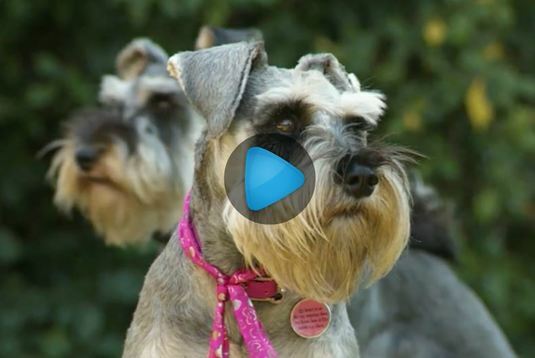 ​Schnauzer Friends - South Africa was featured on Kwêla the 28th Sept at 8:30pm on DSTV Kyknet Chanel 144. 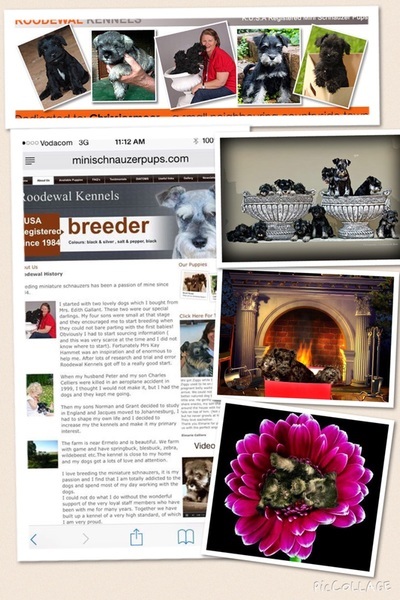 ​ If you missed the programme you can watch it on your pc/smartphone by clicking here. ​To read more about puppy farm rescue schnauzer Pippa who was featured on the show, click here. ​ To read about how Nicole solved Storm's paw licking click here. 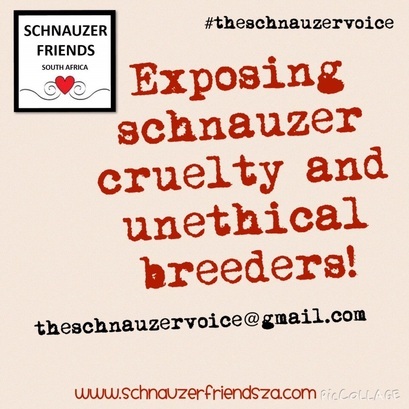 Schnauzer Friends Rescue gives a voice to the voiceless.